In the box, you will find one beater, one controller (capable of controlling one beater), one clam and noiseless power supply. You can daisy-chain as many units over the MIDI protocol as you need. 1799 PLN Buy now! "Perc is amazing, beaters are really easy to set up! Had them working in a very short amount of time on various drums. It's really well made, about time someone made something like this!." "Yesterday festival was a dream. Perc worked like a champion." "The machines you've made are very impressive! Straight out of the box it was up and working in no time. Utterly simple. The hi hats we got going made it straight into a track!" "I think Perc is amazing. More than I expected. I'm so happy with it. Can't wait to play more." "The Perc has opened up a whole new world of inspiration. The hardware store, my garage, kitchen and everything else in the physical world have become my new drum kit." "Perc is an absolute dream come true for me. 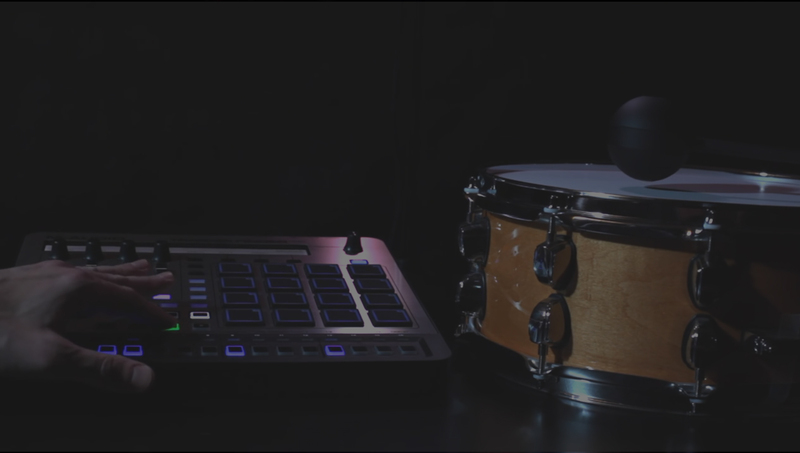 I do a lot of finger drumming, and even though triggering samples is nice and all, the ability to control a real drum kit live (with no latency at all) is simply amazing and takes my performances to a whole new level! It's so easy to set up, too!" "... the craziest concept I've seen! If you're a creative person there are so many applications for it. The newest member of my family... Yeah baby!" "I've been blasting on the nine Perc units that I have and really love them. They will be heavily featured on all my future recordings." "Polyend’s Perc is an innovative product that works well, and turns the usual in-the-box trend on its head, with excellent results. I think it could be a very welcome addition to their arsenals of music-making tools." "Big‑name artists such as Aphex Twin, Daedelus, Dan Deacon and Orri Páll Dýrason (drummer with Sigur Rós) are already fans, so perhaps we really need to be thinking less D‑R‑U‑M and more E‑D‑M."